Creative Cloud – a line item on our invoices? Premiere Pro reads timecode, has a better chromakeyer than FCPX, and has a basic workflow that makes sense. There’s loads to love. But today, I have revoked my subscription to Creative Cloud, and am reverting to CS6. Why? It turns out that I earn my income using FCPX. It’s the tool that effectively puts food in the mouths of my family and keeps a roof over our heads. The same can be said of Sony and Canon cameras, but by and large, I’m perceived as an editor, and an FCPX editor at that. 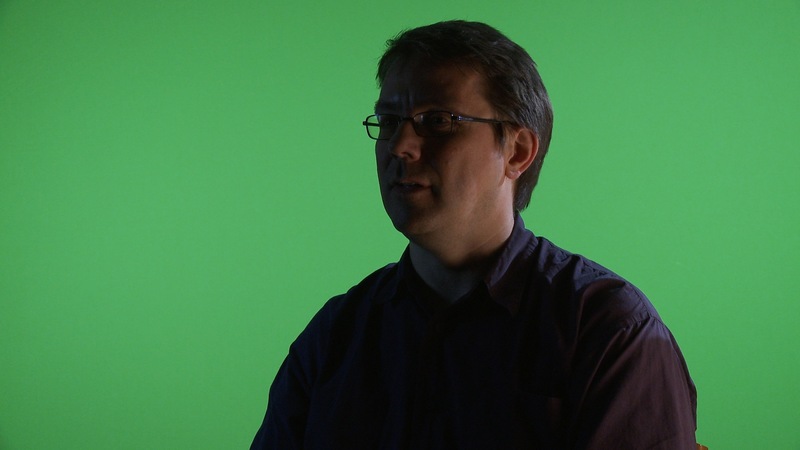 FCPX is very important to me, and changes to FCPX have a direct impact on my family. If I were a carpenter, and somebody changes the way my saws or hammers work, I am very interested in that and will abandon the ‘trend’ in favour of the ‘reliable’ in a heartbeat. I have Adobe software – Photoshop, Illustrator, Premiere and After Effects – for a backup plan, for clients who are not Mac-based. I use it very infrequently. Okay, so Illustrator is great for getting a logo out of a downloaded PDF from a company’s annual report. I can isolate it, scale it, then use Photoshop to rasterise it, and the screenshots I obtained, ready for animation. Whilst I like the new selection tools for cutting things out of a background, I don’t use it as much as a Motion Graphics artist would. I just need PhotoShop, Illustrator and AfterEffects as special ‘Swiss Army Knife’ tools. That’s just CS6. Maybe even 5.5. One exception is Audition – my audio editor of choice, far better than SoundTrack Pro, immediately usable unlike Logic et al. Can’t do without that – if only to apply my Izotope plug-ins for voice-overs and interviews, and repair bad location audio. But I digress. So Adobe are closing the doors on the ‘grandfather’ deals – folks who signed up to Creative Cloud early on at a 50% discount. CC is now established, those deals are gone. I have been told ‘if you don’t get value from the Creative Cloud deal, you’re either not working or use other software’. I am a freelance video editor. I need to work with the right tool for the right job. I need to remain up to date with my skills. 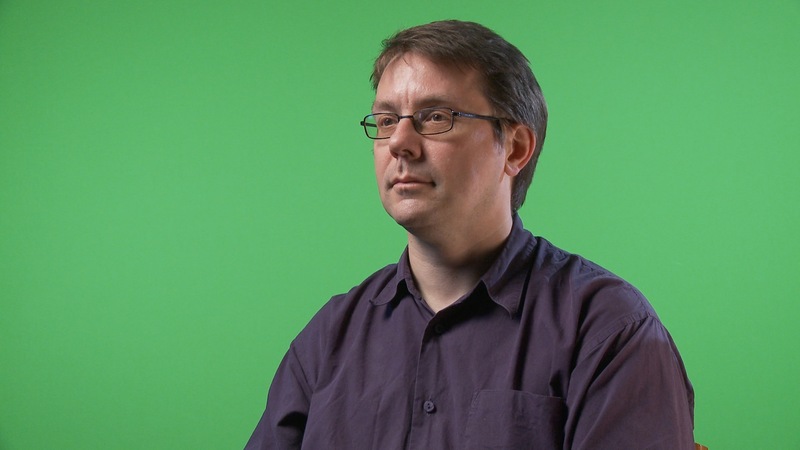 My main editor is FCPX because of the kind of work I do – short form (1-5 minute). 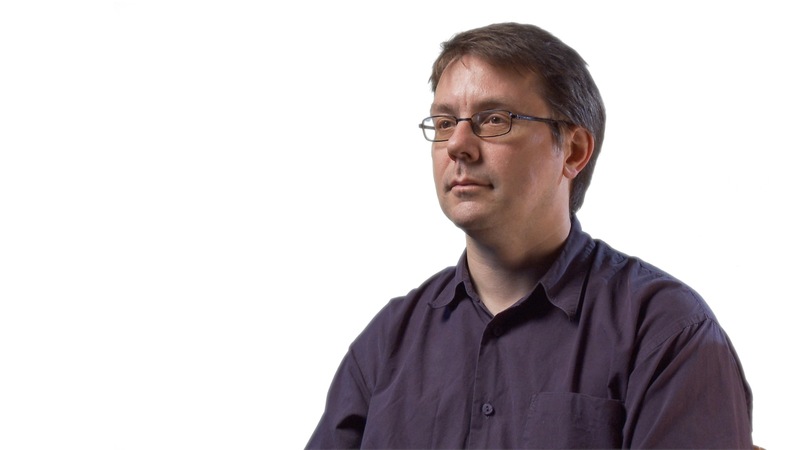 I use Premiere Pro for paid work 4-6 times a year because it does Time Of Day code, and it’s the editor of choice for a couple of clients – if they hire me to deliver a final programme, we work in FCPX. If they want to edit it further, I work in Premiere Pro so they can take it further. So, I own CS6. I will have to pay £47 per month to be ready to edit stuff for those four Premiere Pro clients. That’s £564 per annum, and I will see less value from that than I do from – for example – an additional prime lens for my C100, or a budget for good plug-ins for my existing software. So, here’s the solution: Edit software as a line item. If you require me – a freelance video editor/director – to edit in Adobe Premiere CC, I will add £77 as a line item to my invoice to cover the cost of the latest version of the software. It’s a line item. Adobe have raised the cost of ownership for people who are NOT exclusively Adobe based, and that cost must be passed on, otherwise I am subsidising Adobe. I, a freelance artisan editor/director, am subsidising a global conglomerate organisation that cares not for my business or my success. I don’t get the value from the Adobe Creative Cloud subscription because I don’t have enough clients who DO get the Adobe Creative Cloud subscription. Most of my clients don’t give a fig which edit solution I use. At £24 per month (grandfathered-in rate) Adobe CC was an expense I could swallow. At £48 per month, I need to draw a line. Maybe your line is different. I need to invest in many things – hardware, software, storage, archive, backup – and to have a £50 hit per month on something that doesn’t deliver that value, it has to be chopped. Nothing personal, just business. Adobe doesn’t care about freelancers who major in other platforms (FCPX or Avid). This isn’t hyperbole, just a business situation. There are more people that Adobe want to court who will pay, than there are ‘special cases’ like the freelance market. The Creative Cloud makes it a little more hard line, is all. The Creative Cloud let me down a few times when I REALLY needed it. My confidence in it has been trashed. Maybe Adobe can work out a system where ‘limited use’ users can keep abreast of the current edition and use the Suite on paying jobs for a top-up fee. Maybe that’s what the £77 per moth ad-hoc rate is all about. Either way, it’s a line item on my invoices. I’ve finally managed to get MovieSlate to work as a Corporate Video tool that actually adds value to the edit, rather than as a bit of ‘decoration’. It seems I’ve been doing a wave of 2-camera shoots recently, mostly interviews on PMW-EX1s. A simple hand clap or even a bit of lip sync on ‘plosives’ (vocalising consonants such as ‘p’ and ‘b’) is often all you’d ever need to bring the two shots into synchronisation. The idea of using a clapperboard could be seen as a little ‘effete’ and pretentious. 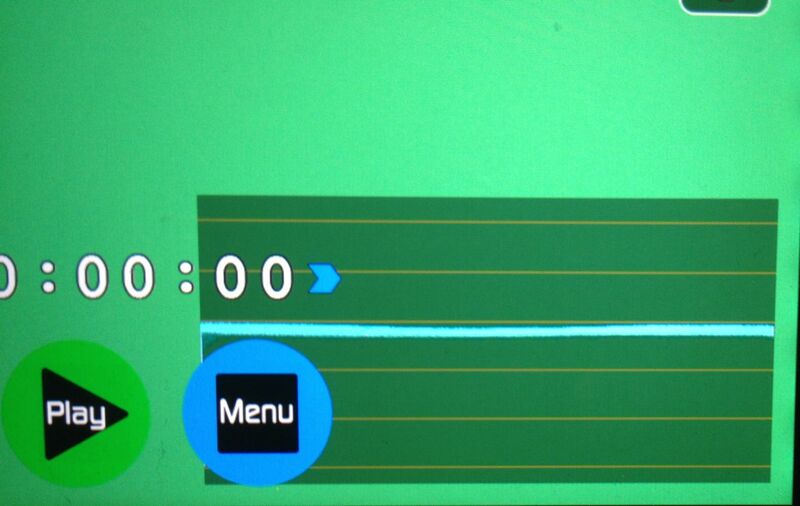 In fact, I’d tried a few iPhone/iPad versions and found that the visual and audio cues were out of sync anyway. So I have, sadly, scoffed at them for too long. But, a while back, I was editing some 3-camera interviews shot by a colleague, and he’d used an iPad slating app that actually did something really useful. It blipped a few text fields just before the slate – only 2-3 frames per field of text, but it quite clearly labelled the interviewee. Wowzers! The idea of shot logs, production notes and so on seems to have faded into obscurity and as a Corporate Video editor, often all I get is a hard drive with obscure rushes on it. I’ve seen this done, but the blipvert text dump was of Things I Did Not Need To Know – director, DoP name, production name, camera type and so on. What I wanted to know was ‘who is this, how is the name spelled, what do I put in the lower third caption’. The sort of info I often have to trawl Linked-in for at 3:00 in the morning just to check spellings or find a shorter job title. So I dusted off my copy of MovieSlate and dug around its interface, trying to get it to behave the way I wanted to. There are LOTS of options buried in MovieSlate and they’re not all where you’d expect to find them. In fact, trying to bash things into shape and work out what should go where took the best part of an afternoon – but now we’ve got through a few jobs working with MovieSlate, I’m going to be using it whenever I can. Removing my ‘editor’ hat and now thinking as a ‘shooter’, I’m really keen to deliver rushes to an editor/client stating that CH1: is the lavalier, CH2: is the 416 on a boom – I’ve had some stuff edited where the two tracks were treated as stereo. And I’ll label my 1-mic, 2-channel (CH2 -18dB lower) too. A seasoned editor would work all this out just by looking at it, but some folks can miss out on the particular whys and wherefores. So, here’s a little review of MovieSlate – created because I find trying to explain something as if teaching helps solidify my experience of it. Alex Gollner and I were shooting some interviews in Berlin this week, and I inadvertently captured the last bit of our setting up which makes a neat little illustration of chromakey lighting. 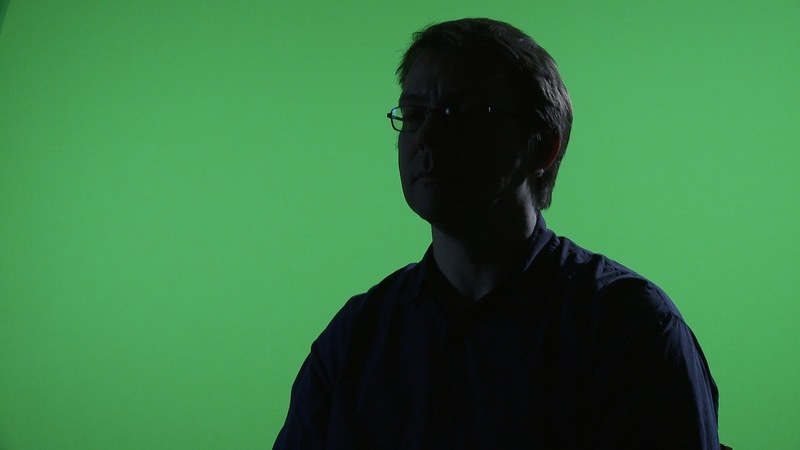 Our brief was to capture the corporate interviews that would fit a ‘white background’ look, but could also get rebranded, so we shot using a chromakey setup. This may surprise you, but that’s the result from the XDCAM-EX recording. It’s 4:2:0 and recorded internally at 8 bit to SDHC. It’s because the FCPX keyer is a ‘hybrid’ keyer that uses both colour and luminance info to create the key, but it can only work its magic if your source material is good. What does good look like? First job is to ensure that the background is evenly lit, with no spill onto the subject. Evenness and correct exposure is very important to get a good quality result. The green should be around 50IRE-55IRE on a waveform monitor: Here, the Waveform Monitor shows the green background nudging towards the 60IRE line, but the key feature is that it’s flat (evenly lit) and the line is thin (not much variance from top to bottom). Next up, I used a daylight dichroic filter in my Dedo DLH4 backlight to give a cool effect, befitting a white background. Not too much to burn it out, just enough to ‘lift and separate’: I didn’t feel that was enough, so I moved it a foot or so to the camera’s right. This made it more of a 3/4 back or ‘kicker’, catching Alex’s cheek. Next, I added a very soft fill. It needed to be more of a ‘wash’ of light and something that could be carefully balanced with the key to provide the right level of ‘ambient’ lighting for a light background. If the fill were low, it would produce a high contrast look better suited to a dark background. We’re shooting for white, so another Dedo DLH4 was beamed into a big white reflector: Finally, I used a soft key – a small Dedo softbox with egg-crate – above head height. I really don’t like taking the key down to eye level as it looks unnatural. I don’t go too high, otherwise we lose the ‘tings’ in the eyes – the reflection of the light source in the iris that makes the interviewee look ‘alive’. Once in Final Cut Pro X, it’s basically a case of dropping the Keyer plug-in onto the clip. I’ve nudged up the light wrap to create a little false flare around the edges, which introduces another little problem but really helps sell the shot. I’ve reframed accordingly. If we think back to last year’s NAB, I remember seeing popup posters of the Black Magic 4K Production Camera and the Pocket Cine Camera the night before their launch. I remember thinking ‘this is a joke – a cunning deception to raise our hopes’ and today people are taking delivery of their 4K cameras. So this year, I was excited to hear about AJA’s entry to the market – the CION. UPDATE: AJA is PL only, posing a problem to owners of EF and Nikkor lenses. This is, for many of us, a bit of a show stopper. Happiness to AJA for choosing a standard, but they have effectively cut out their main audience – those of us who are upgrading from DSLR. It looks great, their intro video is great, the price (considering…) is great. It looks like a really solid bit of kit. Well thought out, designed for professional use, a sort of pocket-money Alexa if you will, even though we haven’t seen the pictures. I immediately started a little ‘savings’ pot – a stash of money where I’ll fund its purchase when I’m ready. I’ve already stated clearly that I will not buy another 8 bit camera (sorry Sony, with your cute Alpha 7S, and Atomos with your Shogun) and I really don’t want to buy a Panasonic GH4 and its own set of lenses. I’m happy that JVC are finally moving into the market of buyable cameras and acknowledge their choice of Micro Four Thirds, but I must move on. So AJA’s Alexalookalike looks just the ticket. So excited! Until, of course, those Aussies stroll up to the bar. The Ursa has swapable sensors. That’s right, folks. You can buy the S35 EF mount edition. Later on, you can get a 2/3″ B4 sensor and mount. So in a few moments you’ve converted your big beefy Cinema camera into a big beefy ENG camera. You can have both a large S35 sensor mode with all your EOS lenses (or use Nikkors, or even opt for a PL mount S35 sensor – boggle! ), and with a smallish investment and a little patience, have a 2/3″ B4 mount with your choice of ENG parfocal long range zooms. Now, that’s worthy of investment! Before we get all frothy at the mouth and loose at the wallet, we haven’t seen pictures (though both are promising 12 stops, ProRes 10 bit capture as well as raw, global shutter, et al), we haven’t got an actual shipping date (Black Magic are on the spot here), and it could all be show-stopping hype. But both AJA and Black Magic have effectively put the kybosh on many people’s purchasing decisions and both cameras offer – on paper at least – excellent value. EDIT: More details came out about the camera. It’s 10 Kilograms with a lens and battery, so purchasers may want to think about their tripod heads and getting a good physiotherapist. 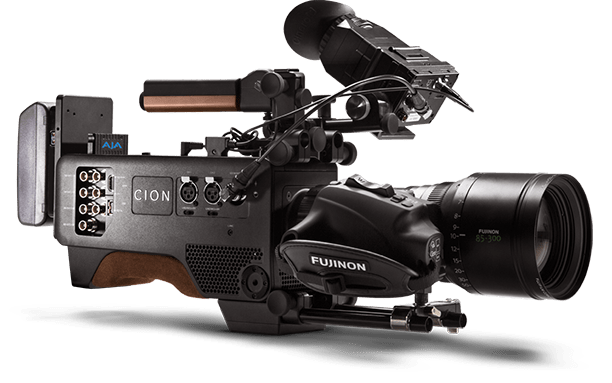 Furthermore, it uses two C-Fast CF slots, which are quite expensive and don’t hold much footage when you’re shooting 10 bit 4K in an I-frame format like ProRes. A 128GB C-Fast card costs around $1,200 for 20 minutes of ProRes or 6 mins of raw. Come back, XQD cards, all is forgiven! Right now, I’ll give the MDMA tip of the hat to AJA for the most desirable camera, but egad – the Ursa is so close behind and if they can deliver B4 they will win my vote. The GH4 was looking like the HVX200 of 2014 but may miss out to many users because of its Micro Four Thirds status. Sony’s Alpha 7S was launched with great pizzazz, and is probably going to light fires under the 5D Mk3 market. But it’s a DSLR, and many of us have found that a DSLR just isn’t nice to use as a video camera if you’re being paid to deliver video. I think it’s excellent that Sony have included an S35 sensor crop and so your investment in S35/EF-S e-mount lenses is protected – you’re effectively getting a Canon 7D and 5D Mk3 in one body – and you have access to XLR audio through a special hot shoe with a £600 accessory. The body is tiny and it’s not hugely expensive. But it’s a DSLR style camera and I got on better with an AX100 than i did with an A7R when I had a chance to try lots of body styles. So, welcome, AJA, to the camera market. You have a handsome product, but Black Magic is hot at your heals with interchangeable sensors. I trust AJA for its IO (which replaced a £35k Avid suite for me), and the Ki Pro (which replaced the Grass Valley things we were offered before). Your camera will always remind me of a pocket money Alexa and perhaps the comparison is deserved. But be aware of what Black Magic has done. The idea of swappable sensors is mind boggling. C100 AF Upgrade – worth it? Canon’s introduced Dual Pixel autofocus for faster, more accurate focus on certain lenses. It cost an extra £340 plus VAT. Is it worth it? The demos have been very convincing, though until Philip Bloom’s recent trial they’ve been fairly ‘safe’ studio-based tests. Like most C100 owners, I’m more ‘run and gun’ – and whilst I prefer manual focus, there are times when it’s a joy to let the camera help out when you don’t have a chance to plan. Hand-held pick-up shots of activities, children, animals, or when you’re unable to reach the camera – cranes and jibs for example. So I decided to further demonstrate the tax-deductible nature of our chickens by employing them as models for my test shoot. They are suitable unpredictable, active, and feathers are something fairly easy to judge focus by. The result is shared below – it’s got no sound, this is NOT a Philip Bloom style video, but it demonstrates the Dual Pixel AF in use. There are situations where it snatches focus well and holds onto it. There are situations where it just gives up. I’ve done some slow motion sequences too, and with Canon STM lenses it really is quick – useful in the (limited) C100 slomo situations. Of course, it’s not perfect. Continuous AF can be a little TOO helpful, and luckily ‘1 Shot AF’ is still fully functioning, using the same speedy mechanism. This way, you press the AF button when your subject spends a second or so in the centre of the screen, the AF settles, and it locks at that point. Not good for tracking, but much more helpful when you’re not using a composition that’s centre weighted. It’s also smart enough not to ‘defocus to refocus’ unlike contrast detecting AF, so I’ll be testing it out on conference shots following a speaker up and down the stage. This way, I can select WHEN the AF does its magic rather than suffer the embarrassment of having the camera develop an obsession with the background, or for me not nailing the focus at the end of a ‘walk’. The STM lenses are designed for this mode. They’re great. I tried a few other lenses, and the 70-200 f4 is pretty snappy. The 24-105 is okay. The Sigma 50mm 1.4 is… a dog. But I knew this. The Sigma as a photographic lens was so bad I almost ditched it. As a manual video lens, it’s pretty darn good, my second favourite after the Samyang 85 1.4. But the Sigma’s conversation with the C100 is still so simplistic that it can’t take advantage of the Dual Pixel AF mode, and insists on defocussing and then grunting away at pulling it into sharp focus – frequently giving up or getting it wrong. This is how it behaved on my Canon C550, so it’s no surprise. Be aware that image stabilisation and auto focus systems make a noise. Leaving the AF in continuous on an image stabilised 70-200 f4 made quite a racket. You would want to turn off both in an interview, or at least use ‘One Shot AF’ if you need to rely on a camera mounted microphone. Overall, yes – to an event videographer who owns an STM lens, this upgrade is Sine Qua Non. In fact, most C100 owners are going to find uses for it. And therein lies the rub: this upgrade is not cheap. You have to send your camera off to Canon for a few days, and there’s been a waiting list. This upgrade has taken Canon by surprise in its popularity, it seems. 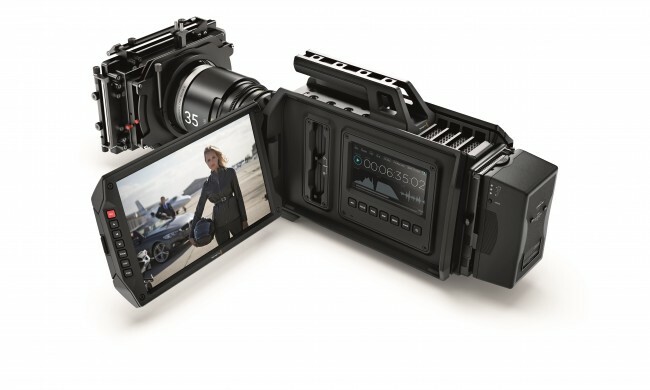 Canon initially offered this AF upgrade for C100 owners only. No, it wasn’t going to be available for the C300, and no, it would only be offered as an upgrade. Not ‘off the shelf’. Well, guess what? You can now get the C100 with the AF ‘pre-installed’ at $500 extra on the price, there’s a waiting list for C300 owners to get the upgrade, and I’m pretty sure that at some stage the AF function will be on the C100 and C300 (or their newer siblings after NAB perhaps) at ‘no extra cost’. But hey – the original owners of the C100 got to pay the ‘shiny’ tax, but we had the camera earning its keep for 12-18 months before the upgrade. It’s not quite the ’S-Log upgrade’ that hung over the first PMW-F3 owners. So, get your C100 upgraded – you’ll find the firmware goes up from 1.0.3.00 to 2.0.3.00 – showing that the hardware has been tweaked and proving it’s got the Dual Pixel AF upgrade installed. Hooray, Rycote have delivered my Badger wind-jammer! After a week that revolved around filming and editing talking heads and vox pops, it still struck home how aggressive and threatening a Sennheiser 416 can appear to interviewees when it’s hand held for interviews – like having a gun pointed at them. This will break the ice, it’s cute and fun, and it’s REALLY good in the wind! So we’re all on the same page, underneath that fake fur is a long microphone ‘pipe’ that’s sort of the ‘telephoto lens’ of the microphone world. If you use it outside, and the merest zephyr of wind plays across this long black thing, it creates a nasty rumble that drowns the interview with rumbles, bumps and that ghastly scratchy ‘audio overload’ interference that completely ruins your audio. So a wind jammer is Sine Qua Non outside, but can be redundant inside. In fact, it becomes more of an audio recorder’s codpiece. But in my previous post, I came to terms with why one should use a ‘fluffy’ or a ‘wind jammer’ indoors where it serves no purpose. But I digress. Rycote will make you one to special order – no extra cost (thanks, guys!) but of course you’ll have to wait for it. 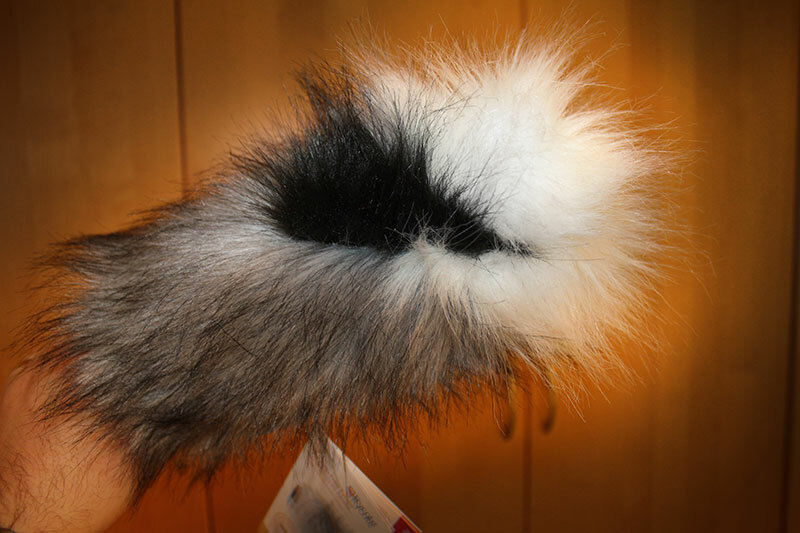 Sure there’s skunks and zebras, but I like the badger – and especially considering that Rycote are in Gloucestershire, which was the epicentre of the Badger Cull Debacle – so, I feel this is in memoriam of the Badgers Who Fell. To be clear, the badger effect only comes on strong at certain angles. This is not an anatomically correct badger. Don’t expect this to pass muster at a children’s puppetry party. But that’s the strength. It ‘hints’ at badgerness, but it’s still actually a proper pro-level bit of kit that will allow you to shoot outside with sensitive mics. It’s not frivolous – just a little nod to those who get the joke. Of course, if I were shooting a drama or a difficult investigative journalism piece, this is not the thing to bring. But I shoot corporates. I shoot shiny, happy video full of shiny, happy people, and I’m looking forward to interviewing people with it. It? Him? Her? Should one name it? Or is that going too far? Yes. It is. It’s just a socially acceptable iteration of the dead cat.